NREC is working with Airbus to tackle two common constraints in creating robotic manipulator technology: working in confined spaces and inefficient singular task training for robots. This newest collaborative team has been working to develop a solution to these constraints by using flexible, low-cost, modular, robotic manipulators that can be used in a variety of constrained manufacturing operations. 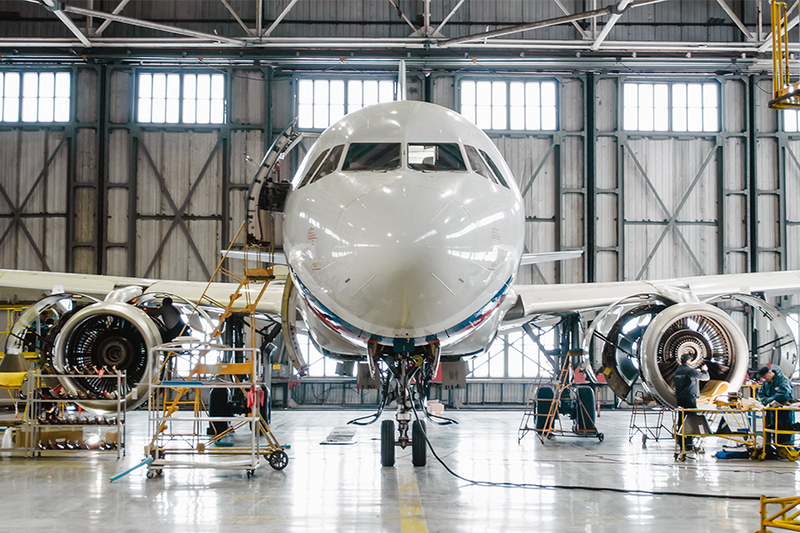 Within the aerospace industry, this solution will prove helpful with tasks such as the inspection of fuel tanks and accessing other areas of the vehicle where space is limited. Most industrial robotic manipulators are optimized to perform repetitive tasks with high accuracy. However, these manipulators are not suitable for confined spaces as they are bulky, non-compliant, and have fixed geometry as well as inadequate form factor. These factors, in addition to being technologically constraining, could all end up causing damage to adjacent work surfaces. Furthermore, these industrial manipulators are not modular and cannot be easily reprogrammed to perform other tasks. There are newer systems (e.g. snake robots) that can navigate within these confined spaces, but they are often very limited in terms of the forces that they can apply at the end-effector. To address these shortcomings, NREC is adapting its existing actuation and manipulation technology to develop a flexible and modular robotics system. This novel manipulator allows a standard series of modular components to be assembled into various manipulator configurations for the different tasks and workspaces that are encountered, such as long-reaches within confined spaces. The modularity aspect is driven by standard interfaces for both the hardware and software components that allow a consistent interface across the various configurations. Additionally, the manipulator will have advanced sensors incorporated into the links that allow for recognition and adaptation to the errors that occur as a result of the lightweight design of the manipulator. This program, funded by Airbus Americas, is currently in its second phase. In this phase, NREC is constructing a prototype system and demonstrating its operation on a number of different customer defined manufacturing processes.